Satisfaction was determined on a contract-specific (not district-specific) base for this year’s survey. There are a total of 422 food, custodial and transportation services contracted out this year. 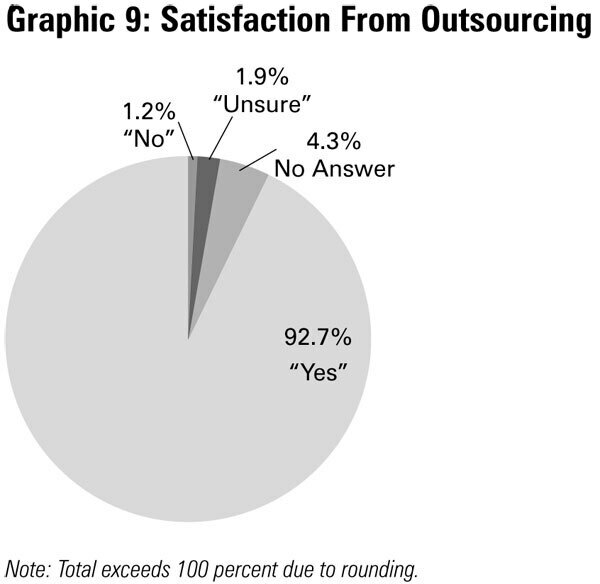 “Yes” on 391 contracts (92.7 percent). “No” on five contracts (1.2 percent). “Unsure” on eight contracts (1.9 percent). Districts declined to answer regarding 18 contracts (4.3 percent).